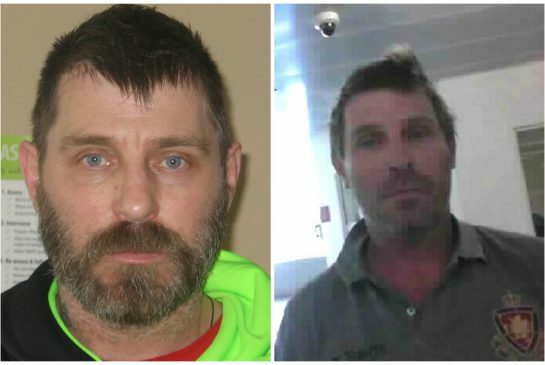 Nova Scotia RCMP are updating citizens about the release of a high risk offender now living in the Barrington area. This is the third public notification about Jamie Alan Goreham, 42. On Jan. 22 police advised citizens that Goreham would be living in Barrington. On Jan. 29, a second RCMP notification indicated he would be living in the Halifax region. On Feb. 5, RCMP updated the high risk offender notification specifically to those in the Barrington area. Goreham was released from the Calgary Correction Centre on Jan. 23 after completing a sentence for sexual assaults and other offences. His criminal convictions date back to 1991 and include sexual assault and sexual interference. His victims have included females under the age of 14. Goreham was assessed as being at a high risk to re-offend. He will be on probation for two years and is required to follow strict conditions, including restrictions on any activity that involves contact with children under the age of 16. He is also to abstain from the consumption or possession of alcohol. RCMP remind people the information is provided to alert the public about Goreham’s presence in the community so they may take suitable precautionary measures. Vigilante activity or other unreasonable conduct won’t be tolerated.